One very important aspect of your Walt Disney World Resort Vacation is determining where to spend your arrival day. You want to get your vacation off to a great start, but you may not be able to arrive at Disney World first thing in the morning. 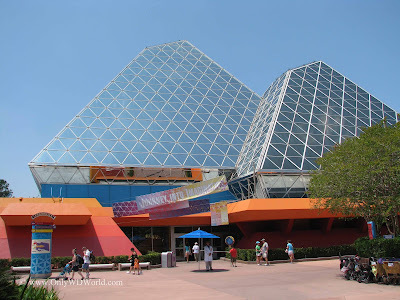 The theme park that you should plan on visiting on your arrival day is Epcot and we'll explain why. When you finally get to Orlando, Florida and go through the gates to Disney World you want to start experiencing the magic right away. 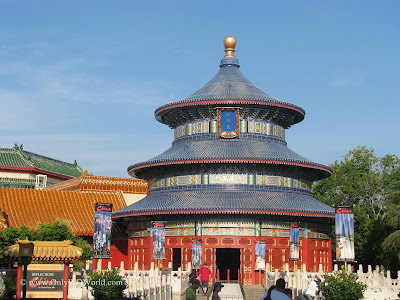 Of the four Disney World theme parks (Magic Kingdom, Epcot, Disney's Animal Kingdom, & Disney's Hollywood Studios), Epcot is the best one to visit when you cannot arrive early enough for park opening at 9:00 AM. Epcot can easily handle the largest crowds without it feeling crowded. This is very important if you are arriving mid-day or later. There are very few Epcot attractions that ever have long lines. Use the FastPass system to ride Soarin' and Test Track (the two signature attractions), and expect reasonable lines for the rest of the attractions. Epcot seems to get better as the day progresses into night. 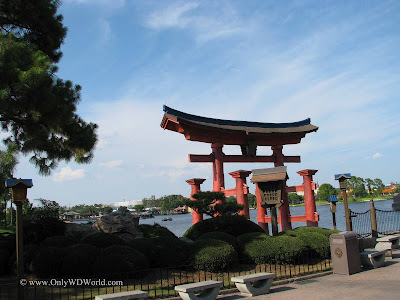 As evening comes Epcot is a great place to be! 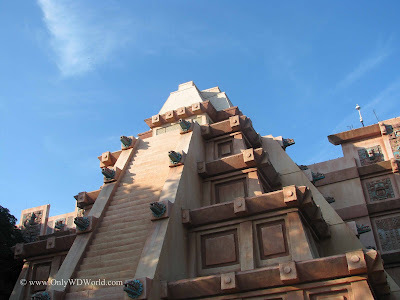 There is no where more enjoyable than strolling around the World Showcase at dusk. The World Showcase is great to enjoy later in the day with the attractions, shopping, food, and entertainment available in each of the 11 country pavilions. There are lots of opportunities to find attractions or areas that get you out of the hot Florida sun. Epcot can be relaxing, unlike the sometimes frenzy that occurs in the other parks as you rush to get from one attractions to another. This slower pacing allows you to relax and get in the proper vacation frame of mind. There are many dining options. 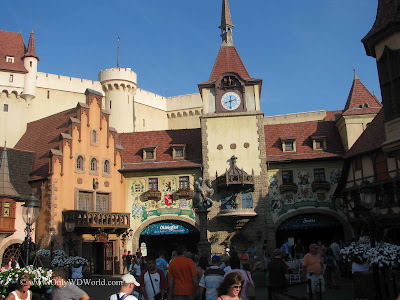 Whether you make Advanced Dining Reservations ahead of time or wish to visit one of the many Quick service locations there are many wonderful places to get food (and drinks) at Epcot. Start Your WDW Vacation Off Right! 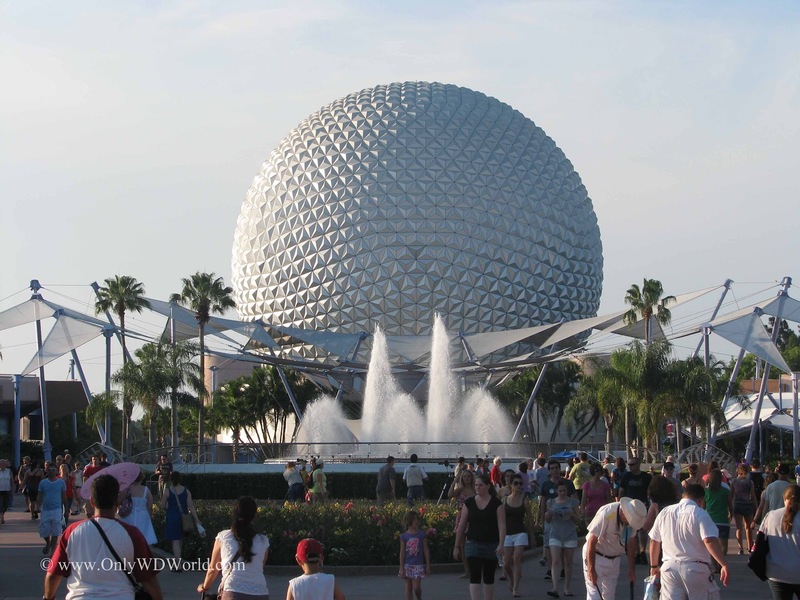 During your next Disney World Vacation make sure that you start it off right by visiting Epcot on your arrival day. Resist the temptation to head right to the Magic Kingdom and encounter the crowds and long lines. You will be best served visiting there when you can arrive at Park opening. Reduce your stress and start enjoying your vacation right away by heading to Epcot and you will be glad you did. 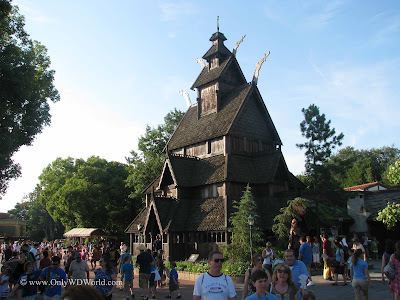 This article originally appeared at Only WDWorld! 2 comments to "Make Epcot Your Disney World Arrival Day Destination"
harga untuk satu link dalam artikel Anda yang sudah ada? Saya menunggu tanggapan Anda sesegera mungkin.